Virtual reality in fashion recalls the report in www.businessoffashiion.com credited to the Canadian media theorist, Marshall McLuhan, who described mobile technology as “new pattern of human association.” The reality of that statement is very much with us today, and you can imagine how many apps, social media and other communication resources is right there on your mobile device with more to add as you read this piece. Much like the coming of mobile technology, the advent of Augmented Reality (AR) in the fashion industry is a phenomenon that only people with insight can tell of what it holds for the fashion loving people around the world in days or years to come. Virtual reality with a unique headset strapped that looks so ordinary, but the amazement starts when you are confronted with 3D imaging that captures your attention like you are in face-to-face, real life events. The marketing impact of Augmented Reality technology is sweeping the fashion industry like wildfire, and the effect surpasses what the traditional media can match. Many fashion businesses are already using VR to market their brands including Kate Moss Stars for its perfume and Rebecca Minkoff and Balenciaga use it for runway shows. 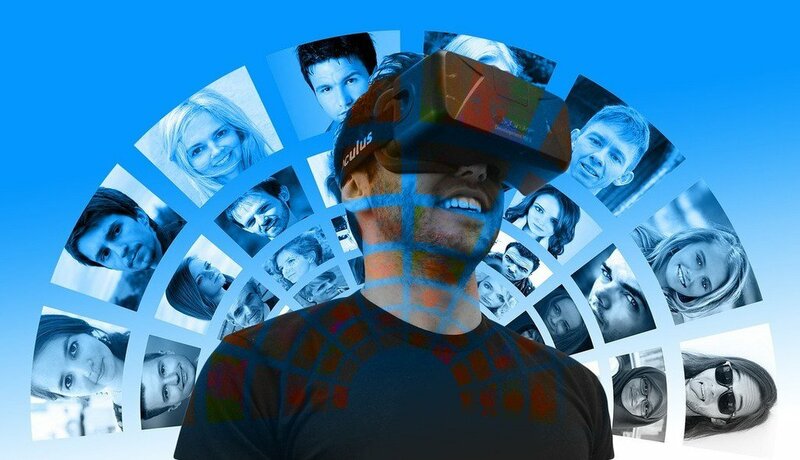 With current generation’s addiction to super tech, studies show that the world needs to look forward to more development in VR and AR development in the fashion industry. Fashion is a creative business that needs the attention of people of all ages, social and economic classes. That’s where fashion week in virtual reality comes in. Super hi-tech development is a unifying factor bridging the gap between people of different age groups. The peoples’ busy lifestyle around the world is finding a perfect ally in VR Fashion technology making it possible for them to see how a cloth would fit before buying it. Also, the crash in prices of the technology is helping fashion business people to acquire the VR and AR fashion technology to take their products to the end market. The following are latest developments in AR and VR fashion for every fashion conscious people. Mobile VR fashion apps. VR apps on your mobile phone allow you to try out various clothing pieces in the comfort of your home or office. You may not physically wear the clothes, but it gives you an idea of how it would look on you. VR and AR Fashion Photoshoots. This development offers you the opportunity to see various clothe designs so you can explore to choose what you want. Runway reality. This technology brings runway feels and emotions using VR fashion technology and can be exciting for the viewer who can see various runway experiences from the VR device. Wearable VR fashion. This technology connects with your smartphones to thrill you with fantastic fashion display. AI technology. Although, Augmented Reality is still in its infancy so much is achieved already with more to come as the hi-tech industry advances into artificial intelligence realm. In a recent Forbes publication titled – Future of Retail, it reported how brand and retailers are exploring technology innovation to position their products in the market for better conversion, according to J. Walter Thompson research. The publication discusses how 70% and 62% of US and UK millennial respectively appreciate using AI technology to show exciting products. Visual listening. This AI fashion technology uses an algorithm to monitor what people are sharing on social media. It examines photos on image-sharing platforms like Instagram helping retailers to know what consumers are sharing about a brand. Will there be an ecological aspect as well, bringing a true VR Fashion Week into the realm of sustainability and “green” industry? Absolutely. As the technology industry advances, the fashion industry is finding the perfect ally to reach the market on a new scale to create a robust relationship that is a win-win for all stakeholders in the fashion world. And for the environment.